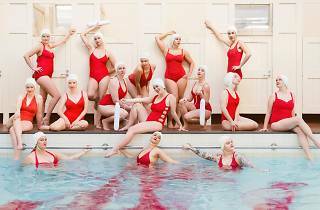 It's that time of the month: the water ballet squad that took the city by storm in March this year have synched up once again to present their empowering and ridiculously fun aquatic ode to periods. Choreographed by lauded Melbourne artists Holly Durant and Gabi Barton, Crimson Tide is a badass celebration of menstruation, and a call to open up a healthy conversation about something that, for too long, has been considered embarassing. While you can't expect elite-level professionalism from The Clams (the troupe is comprised of amateur water ballerinas, and that's part of the fun! ), you can expect a bloody good time, plenty of fun effects and great tunes. 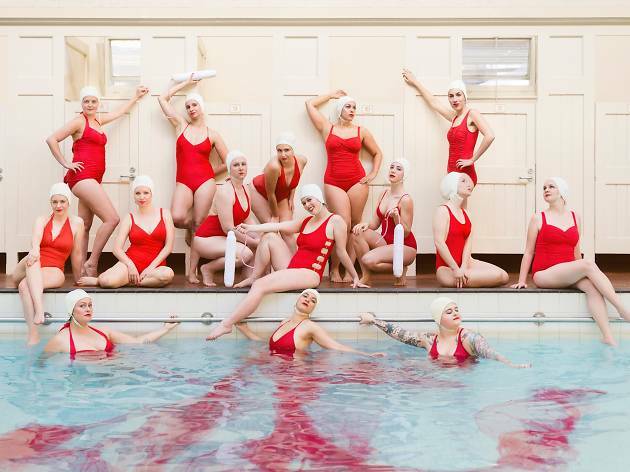 They'll be performing four shows at the Melbourne Fringe Festival at the Melbourne City Baths over two nights. Check out our Melbourne Fringe highlights list for more top picks.